Development Lot!! Fantastic opportunity to Build a New Home or Remodel Existing house to your liking. Two sets of Plans were completed for this property, one is Currently in the City for Permitting!! Both plans are Contemporary in Design by Renowned Architects! Will share plans upon request. Privacy in Backyard that faces South toward the beautiful Mega Yachts at Pier 66, Sun all day long. 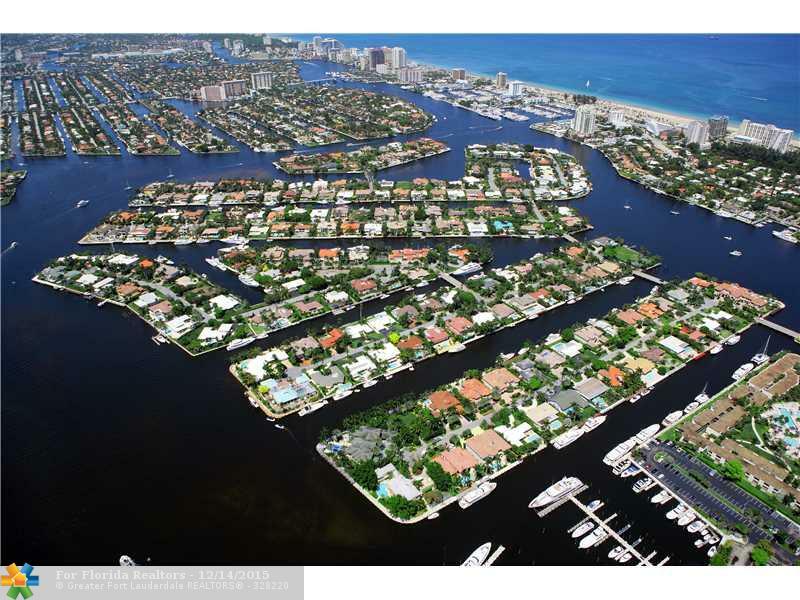 This Exclusive Neighborhood is Gated and offers Beach Club with Private Beach Access! LOT 100X130 each side. HARBOR BEACH RESIDENCE BOASTING 95' OF DEEP WATERFRONT. IDEAL FOR THE AVID BOATER, ONLY MINUTES TO THE INTRACOASTAL WATERWAY & INLET TO THE OCEAN. BRIGHT OPEN FLR PLAN EXQUISITELY UPDATED OFFERING 4BR (4TH BR CURRENTLY AN OFFICE)/4FBA/2-CG. 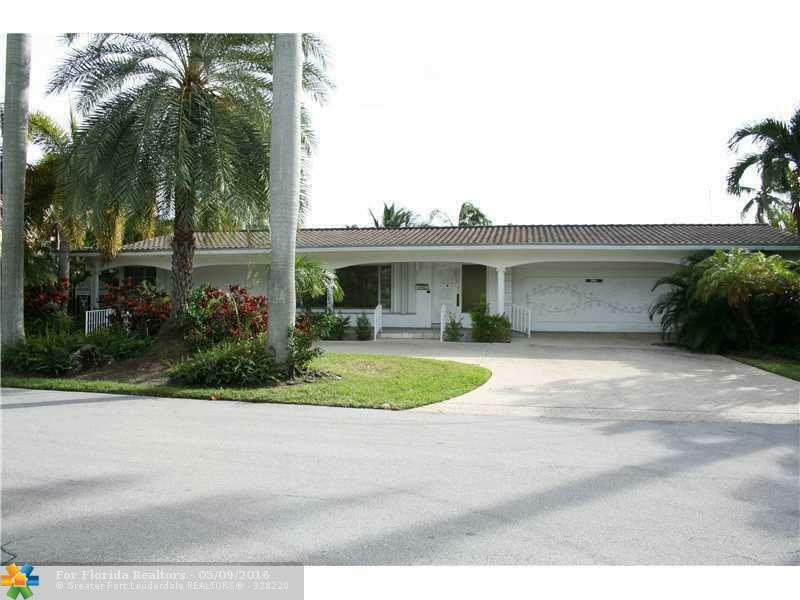 LARGE GREAT RM , OPEN GOURMET KITCHEN, FAMILY RM, LAVISH MASTER SUITE & IMPACT WINDOWS & DOORS. TROPICAL POOL, PATIO & COVERED LANAI. PLANS AVAILABLE TO EXPAND. PVT BEACH CLUB, MARINA & POLICE PATROL AVAILABLE. SQ FOOTAGE FROM BCPA BELIEVED ACCURATE BUT NOT VERIFIED. EXTREMELY WELL PRESENTED HARBOR BEACH RESIDENCE ENJOYS HIGH ELEVATION AND EXCELLENT VIEWS ON QUIET DESIRABLE ISLE. RESIDENCE HAS A VERY OPEN FEEL WITH BAMBOO FLOORS THROUGHOUT THE GREAT ROOM & LIVING AREA, SEPARATE FORMAL DINING ROOM, OFFICE, POOL/WATER FACING MASTER & GOOD BEDROOM SIZES. FRESHLY PAINTED & MOVE-IN READY. IMPACT GLASS WINDOWS. BEAUTIFUL POOL AREA W. GAZEBO & CABANA BATHROOM. 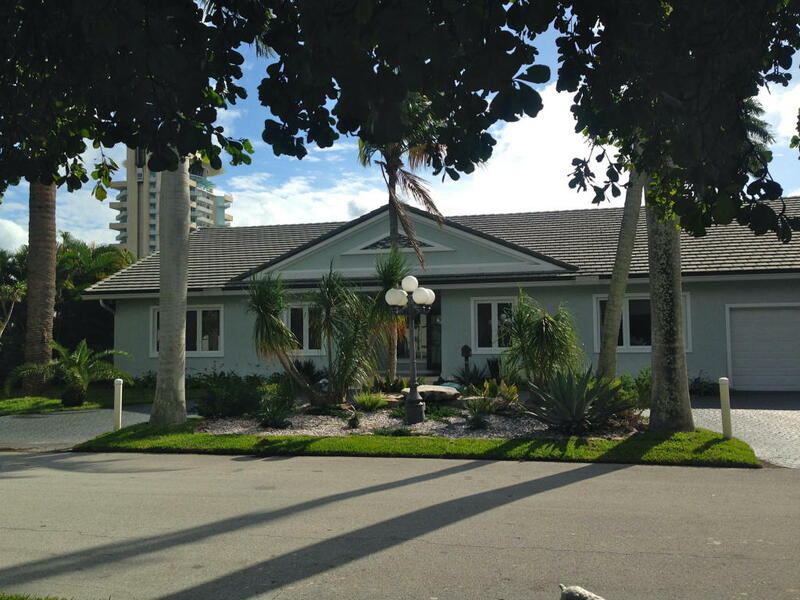 PRIVATE SURF CLUB & 300' OCEANFRONT AND MARINA IN THE HIGHLY PRESTIGIOUS HARBOR BEACH COMMUNITY. 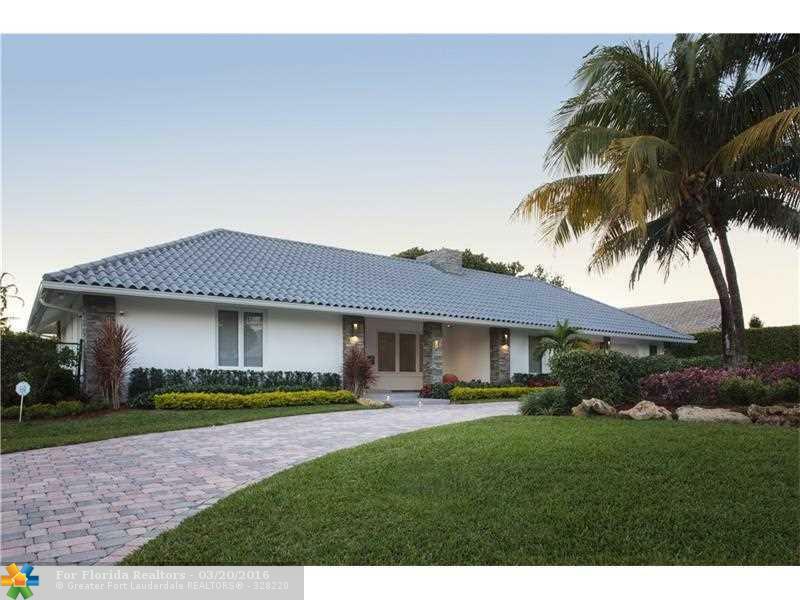 This contemporary house is a refreshing addition to the sales offering in Harbor Beach. Bright and full of light, airy and sunny, open floor plan, built in harmony with nature, where outdoor comes inside. Royal palm trees, water, yachts, tropical view from every room, unmistakably Florida. Unique view from the garden expends to yachts at Piers 66 Marina, 17th Street Causeway Bridge behind it, and a rare building designed by Frank Lloyd Write in South Florida. Wide grassy yard leads to the 95' dock, completely redone in 2008, fully equipped to accommodate boats up to 95' long. Closest to the Port, no fixed bridges, ocean can be reached within minutes any time, even in a lowest tide, no sand bars in this wide turning basin of Mercedes River Ideal for people who enjoy boating. This home offers the perfect waterfront location within the enclosed most exclusive, private beach community of Harbor Beach. Situated on an opulent corner property, this home offers advanced technology and has been completely revisited to the highest standard with decorator finishes. Other features include an enticing pool and patio area perfect for entertaining. Ideally located within minutes to the airport, ocean and downtown. Reasonable offers will be looked at. All sq.ft's from Broward Cty. Tax Roll. 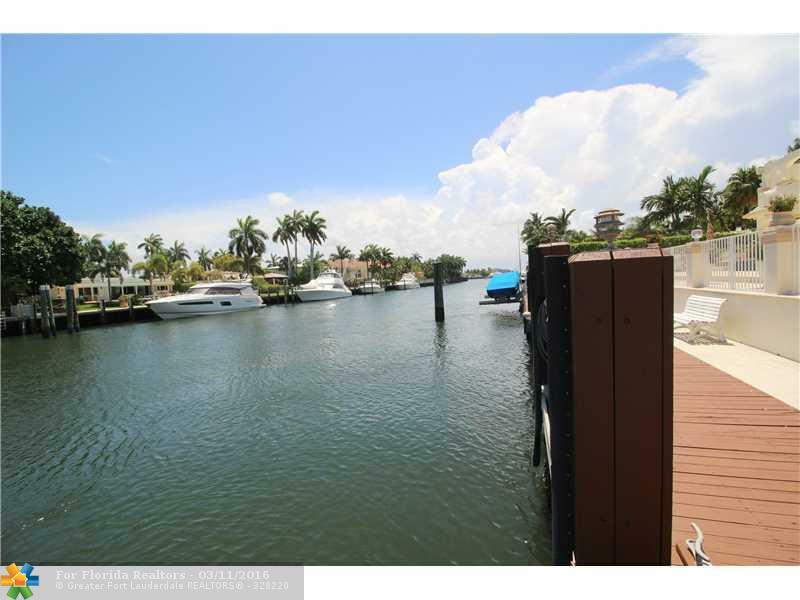 Boaters Paradise with a 160' wide canal plus turn around and No fixed bridges! 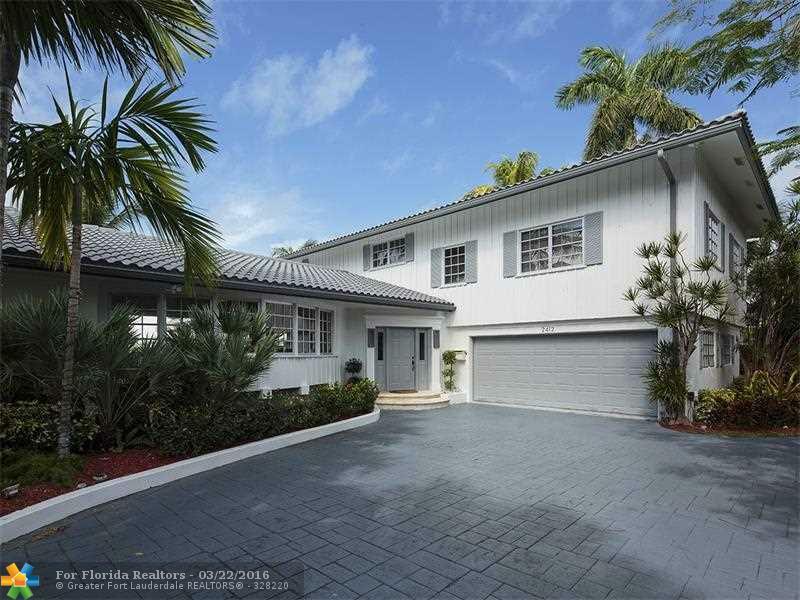 Live surrounded by beautiful homes, dreamy yachts and the great Florida Ocean breeze in this perfectly configured home located in the most sought after area of Harbor Beach. Situated on a deep water lot with a 95' dock, this home offers 4 bedrooms, 3 full bathrooms and 2 powder rooms with an open kitchen and inviting family room overlooking the waterway. The home is complimented with marble flooring in main living area, a full size wet bar, an entire second level master wing with a private office, his and her bath, a dual sided fireplace, a sauna and steam shower. Enjoy a 10 minute cruise on the waterway to the Ocean inlet. Private Beach Club and Private Marina memberships are available to residents. Harbor Beach: Serious/Motivated Seller! 95ft on the Water, 2 Big Built in Storage Closets at Dock. Wide deep River, Superb Entertaining Pool/Patio Spa! Area including Steam Shower approx. 5,525 sqft. Bright open Plan and design, studio apt. Private Beach available. WOW GREAT DEAL!! ONE LUCKY BUYER!! 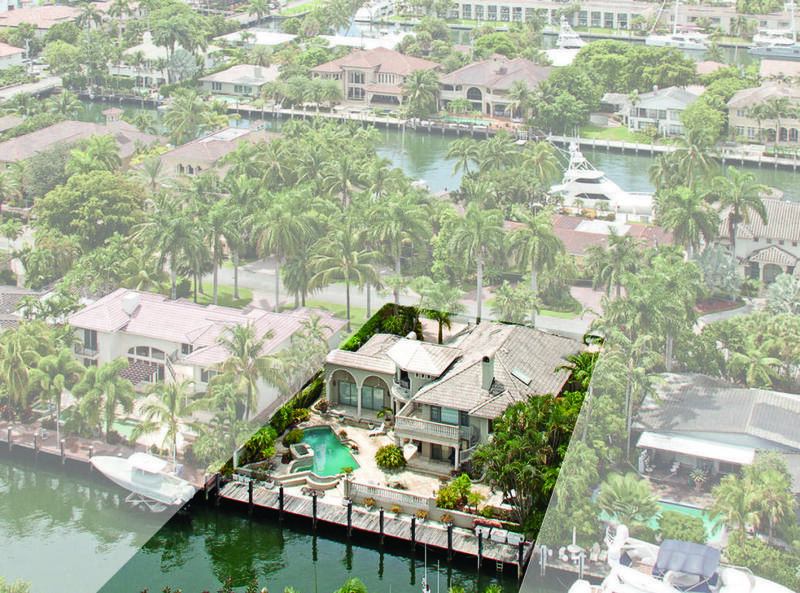 Exquisitely detailed custom residence on 150 ft wide water way. This residence has all the luxury amenities: Formal living room fireplace & wine room, wet bar, gourmet kitchen open to family room, elegant dining room, media room, separate guest/M-I-L quarter s, VIP guest suite downstairs. Second level master with private sitting room/office with fireplace, his/her bathrooms & huge dressing room, two bedrooms (one currently gym). Beautifully terraced pool area, summer kitchen, outdoor fireplace & mosaic pool. 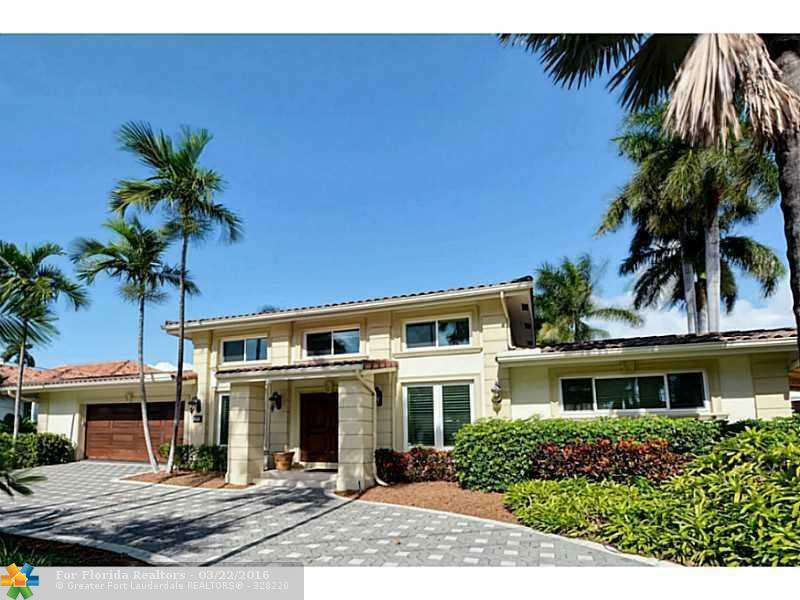 Magnificent custom estate home available for sale in the exclusive community of Harbor Beach. Lavishly appointed by Interior Designer Perla Lichi, this masterpiece has over 9,300 sq. ft of luxury. Enjoy your own Home Theatre and Billiard Room, Gourmet Kitchen and Marble flooring throughout. All bedrooms are en suite and all have water views. The Master Suite includes separate his and hers bathrooms and closets with hand painted murals as are artistically placed through the home. Impact Windows and Doors throughout. Harbor Beach has its own private beach club and marina. This island-feel home is nestled between the sparkling private beach of the exclusive Harbor Beach community and the bustling everyday boat parade of the Intercoastal Waterway. Features include an over sized deck, boat lift & dock, pool, 2 garage and approximately 4,898 sq ft of abundant interior space! This home sits directly on the ICW with 120 ft of idle speed - no wake water for your boating and viewing pleasure. Beautiful sunsets and city views. Similar to a Point View.